Most people have heard the term "notary public" and "notarized signature" but have no idea who notaries are and what they actually do. A notary public is a sworn and bonded official of a particular U.S. state who is appointed by the Secretary of State. In carrying out these duties, a notary public is expected to exercise independent judgment as well as following the state law. If the notary suspects that a signer is not of sound mind, does not understand what he or she is signing, or is being coerced, the notary has a duty to refuse to notarize the signature. The same holds true if there is any indication of fraud or deception. The most common transaction for the notary relates to a signature on a document, referred to as execution of the document. The document signer must appear in person and present valid identification to the notary public. He or she must confirm understanding of the document and that he or she is signing voluntarily under his or her own free will. A notary public can also acknowledge that the signer swore to or affirmed the truth of the information contained in a document. This is what most people are referring to when they talk about a "sworn statement." What kind of notarial act is required is up to the parties, not the notary. You may have seen a notary seal on a document. Many people assume that application of the seal is the notarial act, but this is not correct. Some states do require a seal, but it must be accompanied by notarial wording which usually refers to the signer and the date. It might say something like, "Acknowledged before me," or "Sworn and signed before me," with the name of the notary public and the date added. 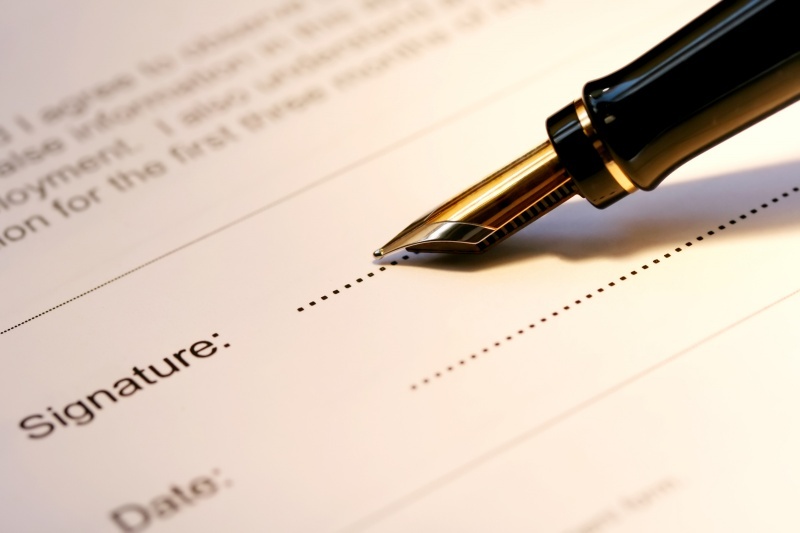 The notary public will ask for a signature in his or her official journal, which is required by the state. In some states a thumbprint will also be taken if the document relates to a real estate transaction. If this all seems complicated, don't worry. You don't need to know a lot of background information in order to get something notarized. If a real estate transaction or legal proceeding requires a notarized signature, the only thing you need to know is where to find a convenient notary. Many full-service business shipping outlets such as UPS Store have notaries available. The advantage of using services in a UPS Store or similar place is that you can also make copies of the document for yourself, your attorney, or any other parties who might need a record, and you can ship them from there, also. Notaries are appointed and so are subject to oversight and discipline by the state government. Notary fees are also regulated. A notary commission expires and must be renewed, typically after four years, though it varies from state to state. We are Originally founded as a magazine publishing and advertising sales company. As years come, we added many and varied services offered like printing services Tallahassee through The UPS Store retail operation. We are much more than just a printing and shipping companies Tallahassee. Printing, Shipping, and MUCH MORE in the Tallahassee Area. Allow Us to Be Your ONE-STOP Shop!